Our highly trained, knowledgeable staff is dedicated to creating beautiful and healthy smiles in a comfortable and friendly atmosphere. We pride ourselves on your comfort and make every effort to make your time with us as pleasant as possible. Drs. Erickson and Aamodt and each of our staff members are dedicated to our patients’ successful treatment outcome. To stay current with advances in orthodontics, we attend continuing education seminars, conduct team meetings, and do in-office training. We strive to keep you informed throughout the treatment process so we encourage you to ask questions. We find informed patients are more comfortable with their treatment, and that gives them the best possible experience and optimum results. 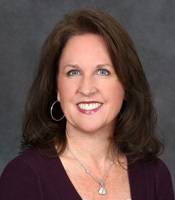 Trish has been with Erickson-Aamodt Orthodontics since 1993. She travels between our White Bear Lake and Pine City offices. Trish enjoys getting to know patients and seeing the change in their smiles. Trish is married and resides in Fridley with her two beautiful girls and their two dogs. She enjoys spending time at her cabin with family and friends and watching her children play sports. Pam has been in the dental field for more than 30 years, and specifically in orthodontics since 1987. 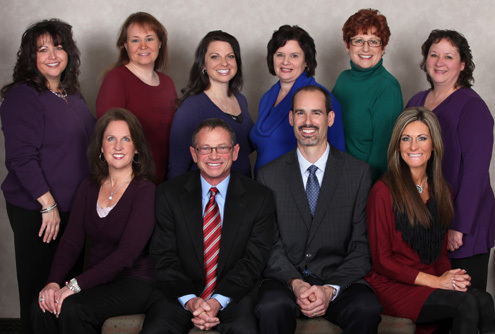 Pam has been with Erickson-Aamodt Orthodontics since 2001. She started out as a dental assistant and then got the opportunity to move into the treatment coordinating position. Meeting new people and watching as they progress through their orthodontic treatment is something she really enjoys about her job. Pam grew up in Burnsville and lives in Lakeville with her husband. She has two grown boys and a beagle. She enjoys spinning classes and cycling, scrapbooking, shopping, and spending time with family and friends. Cindy was a licensed home day-care provider for ten years before she decided to enter the field of healthcare and chose dentistry for her career path. 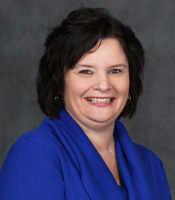 After graduating from the Minnesota School of Business in 1995, she worked as a dental assistant in pediatrics before choosing to concentrate on the business side of dentistry. 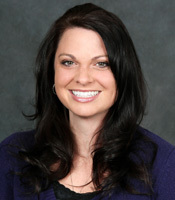 She has been working in orthodontics since 1999 and enjoys greeting all her patients with a big smile. Cindy is married and has two grown children. When she is not working, she enjoys spending time at her cabin, fishing, gardening, and watching Vikings and Twins games. Judy has worked in orthodontics since 2000. She is a licensed dental assistant who works chairside with doctor and patients. Judy also travels between our Eagan and Apple Valley locations. The most rewarding part of her career is meeting new patients and being part of their orthodontic experience. Judy grew up in Bloomington and now lives in Savage with her husband and two young children. 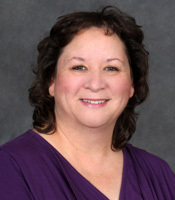 During her free time Judy enjoys running, playing softball, and spending time with her family. 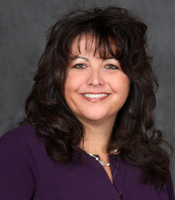 Vickie has been with Erickson-Aamodt Orthodontics since 1993. She works in our White Bear Lake and Pine City offices. Vickie lives in Lino Lakes with her husband, two children, and two dogs. She enjoys watching her children play soccer and hockey and ski. She also enjoys spending time with family and friends.